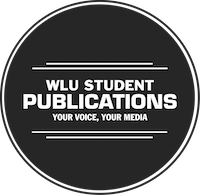 The Sputnik’s Video Editor is a new position at WLUSP Brantford. The successful applicant will need to be a creative individual who takes initiative and performs their job relatively independently. The Video Editor is expected to know how to use relevant video camera equipment, as well as video editing software. The Video Editor should also have a keen seen of journalistic integrity and principles, as their role requires them to interact with on-camera subjects, conduct interviews and edit for news- worthy content.